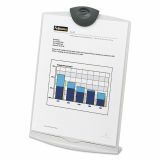 Fellowes Copy Stand, Plastic, 75 Sheet Capacity, Platinum/Charcoal - Copystand is ergonomically designed for use in both portable and desktop applications. 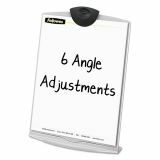 Set up in six different angle settings for easy view. Sheet capacity is 75 sheets of letter-size paper. 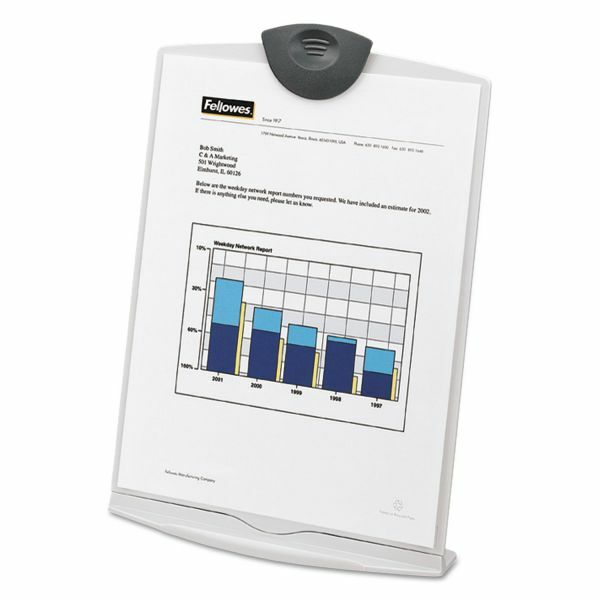 Plastic copystand folds flat for clipboard use, storage or portability.